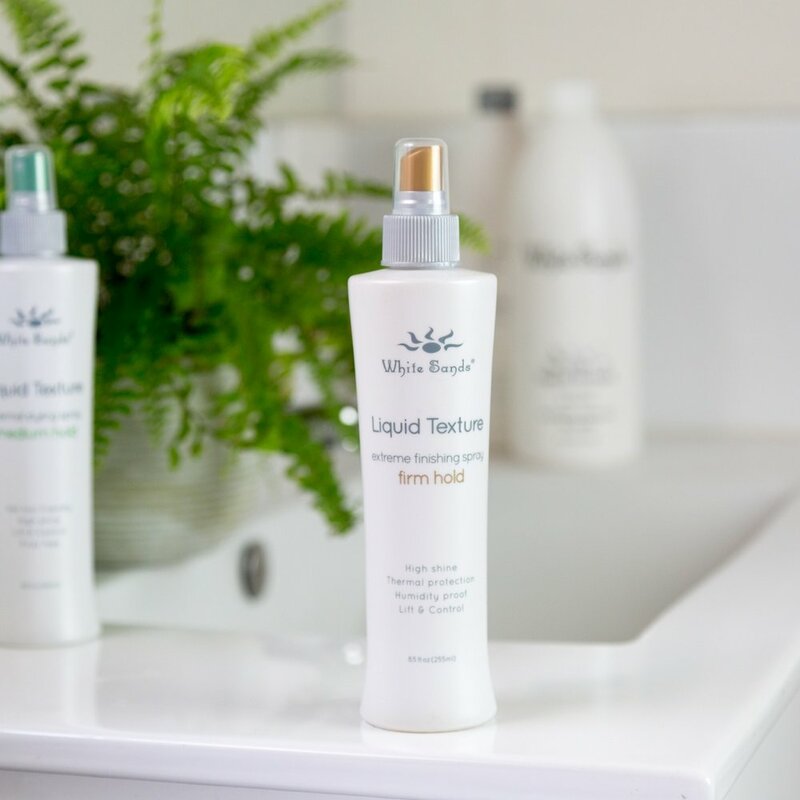 White Sands has an incredible range of Mega Styling products including our world class Liquid Texture Firm Hold & Medium Hold, and The Stuck Up Hair Spray Mega Hold - everything you need to achieve all your styling needs. Liquid Texture Firm Hold is the ultimate design tool because it allows you to create and recreate any hair design imaginable. Liquid Texture has raised the bar for hairspray because it can be combed through and has incredible memory to provide long-lasting designs without regard to humidity. It is thermal intelligent, so the more heat used, the shinier the hair becomes. Liquid Texture leaves hair soft and silky without flaking or leaving residue on hot tools. Liquid Texture Medium excels when using hot tools due to its thermal guards, colour enhancers, and ability to resist moisture. Liquid Texture Medium allows you to put a hot iron on wet product: the more heat applied, the shinier the hair becomes. Searching for the perfect blow dry? Liquid Texture Medium allows the brush to glide through hair without catching, thus achieving a flat iron type effect full of volume and shine with just a blow dryer and round brush in hand. Stuck Up Mega hold hairspray is the first mega hold of its kind providing maximum hold, volume, thermal intelligence, and the ability to comb through the hair. Stuck Up’s holding power is second to none with the individual determining volume control. What makes Stuck-Up so unique is its thermal intelligence - this hairspray is ideal for use with any hot tool. In fact, the more heat administered, the shinier the hair becomes!